There is something that grabs me with almost an aggravating intrigue about this last week leading up to Christ’s Resurrection…with an almost deafening stillness. Have you ever considered those last hours of Christ’s life? It comes around every year with such familiarity that we are possibly tempted to overlook its deep, rich implications. Phillip Yancey wrote: “How can we who know the outcome in advance ever recapture the dire end-of-the world feeling that descended upon Jesus’ followers?” What is called Passion Week almost slows to an eerie beat of a bass drum. And, the gospel accounts appear to slow down to give more description together in harmony than they do the birth or resurrection of Christ combined. There are no interruptions of miracles or spectacular happenings. And, amidst the crowd and clamor of those hours, you can almost hear the beating of Christ’s own heart. Listen – hear His weeping over Jerusalem as he approached it; hear the water as He poured it, trickling into the basin in order to wash His disciples feet; hear the kiss on His cheek by His betrayer; hear the slap across His face and the pull of His beard; hear the 39 lashes across His back; hear the pounding of the nails in His hands and feet; hear the forgiving words from His mouth; hear the “no response” from the Father… HEAR THE SILENCE…that nobody else could hear. It is my personal conviction that spiritual leaders can’t lead effectively without periodically stopping along the way to hear the silence of what this week is all about. Only when we reflect to experience His sufferings can we lead others toward freedom. Because there is so much theology in between Christ’s torment and His triumph, we just can’t let this week fly by and not allow it to dramatically impact how we lead. So, engage the habit of reading the Gospel accounts of His sufferings this week…and listen. Before we get ecstatic again over an empty tomb…, let’s pause long enough this week to hear the loud silence…in the heart of the LAMB…the SAVIOR…who knew what a week of passion meant for Him. He knew it, because He walked into that loud silence…like a lamb to the slaughter…who, the prophet Isaiah said, was “oppressed and afflicted, yet he did not open his mouth…” Our leader was silent because He was willing to endure the loud silence. Have you ever been in a situation where you wanted to offer encouragement but you couldn’t find the words that would equal truthful evaluation? So, what did you do…? Well, if you are anything like I’ve been in times past, you either said nothing at all or you said something to encourage them that was less than accurate. First off, there are two ingredients that your organization’s culture must not be without – encouragement and critique. We need this critical duo because leadership is about people and moving forward. Ultimately, we want our organizations to move forward. And, since organizations are made up with people, we want people to move forward. If you are not prone to encourage others, you will initially have a hard time relating to what I’m writing. Then again, if you are a leader, encouragement must be a big part of your everyday tool-belt. But not the false kind. So, where is the balance and how can we make this necessary leadership instrument work well? Remember that you are encouraging a person and not a project or failed assignment. As leaders, we need to continually remind ourselves that we are in the people business. That renewed perspective should, in fact, hold us accountable. Find something positive to say within every ounce of honest critique. Someone said it best: Love without truth is hypocrisy and truth without love is brutality. But truth spoken in love equals maturity. We must do our part not only to help people see where to grow, but also to help them see that they can. Be carefully specific with your critique. As much as you want to help them see that they can improve, they need to know from your perspective how and where. So, kindly making it clear is more important than feeling like you need to correct a problem. Remember, it’s a person, not a project. Don’t put yourself in their shoes. Why? Because everyone is different. And, your desire for how evaluation is given will be unique. Go to school on those you lead. Learn what works best for others, not just what works best for you. Schedule times for evaluation. Neither the need for encouragement nor critique should feel intimidating to exercise. If you have worked it into the regular cycle for debriefing, chances are that no one on either side of the table should be uncomfortable. What gets scheduled gets done. Just like you, I was taught as a child that if you can’t find something good to say, don’t say anything. So true – and in many contexts. There’s a further reality, however, when it comes to leadership: we have to find something to say. And, we can say something good and truthful at the same time if we just take time to find the words and say them appropriately. Today marks the memorial service for one of the most renowned preachers of the Gospel this world has ever known. Equally, he is one of the most influential spiritual leaders that has graced history. Billy Graham set the standard. And, though he was certainly imperfect, he perfectly lived a life worthy of reflecting, remembering, and repeating. Live and lead with passion. Bill Hybels, in his book Holy Discontent, writes, “What must have been churning and burning inside young Billy that compelled him to rent that very first stadium in order to host his very first crusade where he asked people by the thousands to give their lives to God?” Do you live and lead with passion? Are you living and leading with integrity? Live and lead with hope. It is no secret to anyone who knows of Billy Graham that he preached and shared continually on the themes of heaven, forgiveness, love, mercy, acceptance, and the Cross – all pointing not to endlessness or despair, but hope – hope in Christ – which could be found by calling out to Him alone. Does your life live out and lead out in hope? Live and lead with humility. The title of his autobiography is Just As I Am, which was the name of the song he used to call sinners to repentance at the end of his Gospel meetings. It’s the message of his book that communicates how he is the example of that song. It is recalled that when his ministry headquarters were dedicated, he conveyed publically that day that he cringed every time he heard his name called in something that had been the work of God through the years. Are you living and leading in humility? Live and lead with longevity. He died in his 100th year. Success truly isn’t found in how you start as much as how you finish. In their book, The Leadership Secrets of Billy Graham, Harold Myra and Marshall Shelley talk about Billy’s “laser focus” and “lifetime of persistence” that characterized his ability to stay the course for the long-haul. Mr. Graham set that standard for his generation. How well are you living and leading with longevity? Live and lead with love. Love was his message. More specifically, Billy Graham preached, “God loves you.” One writer said that some of his methods were questioned – such as inviting preachers with different theological persuasions to sit on the platform with him at his crusades. Why did he engage in such controversial approaches? It did it because he was driven by love and not differences. Does your living and leading unquestionably reflect God’s love? Live and lead with innovation. In the book The Leadership Secrets of Billy Graham, the authors write, “Billy’s associates insist his drive to innovate was rooted in his calling to reach out to others with God’s love. What else, they ask, could motivate him in the 1960s to don sunglasses, shabby clothes, and a baseball cap to mingle in New York City among protesters of Students for a Democratic Society? Why else would he walk into a music store, load up on rock albums, and then sit down at his Montreat home to hear an unfamiliar generation’s coming-of-age anthems? 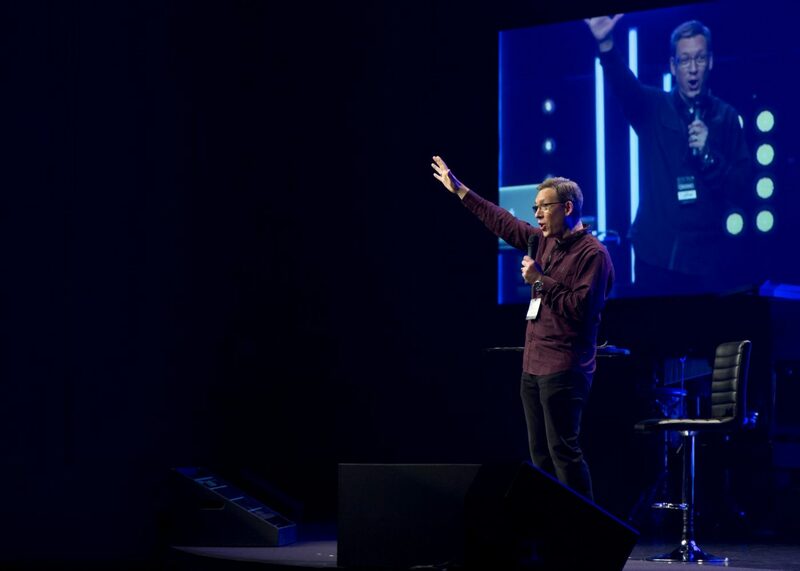 Graham left his generational comfort zone because he believed in his message and loved those who needed to hear it.” How well are you living and leading in creativity? Live and lead with succession in mind. According to an article published in Citizen Times on February 25th, all five of the Graham children have had their struggles with God, faith, and family, but now are remarkably following in the footsteps of their parents. Ned Graham is a pastor who prints and distributes Bibles in China. Franklin Graham is head of a Christian relief organization as well as president and chief executive of the Billy Graham Evangelistic Association. Gigi Graham is the eldest child and an inspirational speaker and author of several books. Anne Graham Lotz, the second-eldest child, is a renown Christian speaker after years of teaching Bible classes. Ruth Graham, who for years went by the nickname Bunny, is founder and president of Ruth Graham Ministries, which is based in Waynesboro, Virginia. According to the article, “There are 19 grandchildren, many of whom are carrying on the Graham tradition of Christian ministry and mission work.” What are you doing to live and lead with succession in mind? While Mr. Graham’s body lie in honor at the United States Capital Rotunda on Wednesday, Senate Majority Leader Mitch McConnell, in his speech to reflect on his life, said, “His fame never overcame him. Billy knew better than anyone that fame and an impressive Rolodex weren’t the real standards of success. His aim was simpler: sharing the good news with as many souls as he possibly could.” There it is…he was known, in fact, to have a standard. It was a standard for success. It was a standard to live by. And, no doubt, for the ages – for every spiritual leader – it has become the Graham Standard. Are you trying to fit in? Believe me, it can be exhausting. Always promoting, always proving, always pushing…just to get into that spot where others recognize your significance. After reading that, doesn’t it just sound ridiculous? Well, we get into these seasons of striving without even realizing it. And, leaders do it just as much (or more) as anyone else. It’s the drive in us. To see and hear leaders do and say things that reveal their fight makes me want even more to say NO to this struggle. When we name-drop, toot our own horn, talk only to “important” people, and show-off on social media, we are frankly getting bloodied in this battle. We need to see it for what it is…an unfortunate fight. There is a far better meditation than fitting in. The better reflection is… am I being obedient? The clarity that this question brings is staggering in light of the turmoil we allow to pillage our mind and emotions when we try to “fit in.” John Ortberg, in his soul-searching book The Me I Want to Be, writes, “Real life, however, begins when I die to the false god that is me.” And, we die to that false god only as we live in obedience! How should my obedience to God reflect in how I lead? How should my obedience to God reflect in my relationships? How should my obedience to God reflect in my daily responsibilities? WHO AM I WHEN I’M COMPLETELY OBEDIENT TO GOD AND HIS WORD? Isn’t that where our focus should be…? And, in answering the above questions, I take my agenda out and put His in! Sure, the enemy is going to try and distract with the peripheral. But I refocus when I live in deliberate obedience to God. And, I do this by depending on His grace. He will help us leave the fight to fit in and live being faithful to what He alone wants us to be and do. Nothing else matters. But obedience makes everything else count! What if getting better was a nonnegotiable for everyone in your organization? Sure, I understand that God is ultimately in charge of our improvement. Consider the responsibility, however, of full-on cooperation. If we do not daily give Him something to work with, little inner success will occur. So, what does it look like for you as a leader to implement the nonnegotiable of growth among those you are privileged to lead? Patrick Lencioni has written a tremendous book entitled, The Ideal Team Player. He says that, first of all, improvement is not an option. Secondly, he profoundly communicates that the organization should provide plenty of support for the employees’ development. And, lastly, in the spirit of the nonnegotiable, he shares that if someone decides to opt out and leave the organization, that would be okay. Three words come to mind when we talk nonnegotiables: trust, accountability, grace. Those who want to grow will always grow with help. And, when they know that our heart is with them in their growth journey, their desire will increase even more. Building trust along the way is key to this entire subject. In light of accountability, take regular time for transparency among book studies, learning venues, and developmental questions. Don’t let your weekly meetings just be about throwing out information or giving reports. Foster intelligent and interesting dialogue around leadership thoughts. And, offer a whole lot of grace, because growth stretches us and makes us uncomfortable. Keep gracefully pressing the issue of growth, personally and corporately, however, no matter how difficult it might be for them. The outcome will be a contagion of betterment. Those who want to grow will always grow with help. Leaders, please don’t see this as only a pay scale issue. Growth opportunities and how we provide them must be seen as much among those who do not get monetary remuneration as those who do. Hey, we are all volunteers, one way or the other. We all volunteer to be a part of whatever it is we are doing. That’s the cooperation thing we talked about earlier. In review, provide the steps to grow. Make growth doable for those you lead. I know this sounds crazy, but what if, in fact, you and your organization did begin to make growth a nonnegotiable? If we do it in the spirit of truth, accountability and grace, God will be honored because people will be challenged to surrender more. And, when it comes to leading with God’s blessings, the greater our surrender, the greater our potential! Do you enjoy good conversations? When was the last time that a deep dialogue left you with a buzz? What makes you avoid or pursue talks with people? Recently, I was privileged to experience an engaging conversation with some young leaders. There were times within that interchange that I internally wanted to disagree with some of what was being expressed. And, yet, the longer I listened, the more I appreciated their perspective. In other words, I learned… I learned that young leaders are smart. I learned that their hearts are big for positive change. I learned that they truly want to be recognized for their contribution and want to make a difference with their lives. And, l learned that they really value relationship! The experience proved to be an immensely helpful discovery out of a deeply rich dialogue. It has been my observation that monologue-rich leaders dominate while dialogue-rich leaders influence. When we allow and even encourage the conversation, we are given the opportunity to not only influence the present reality but also the relationships that are impacted by our humility for the long run. Initiating the talk is one of the most effective ways of leading by serving. Avoid responding to anything with dogmatism. Refrain from always having an answer. Conversation adds value. When we engage in deliberate discussion, incredible amounts of learning is the potential. The talks we have with our teams, with other generations, and with co-leaders as well as those in higher levels of influence can take us further on our leadership journey. Leader, lean into the practice of dialogue. When we learn to be better conversationalists, we will learn! 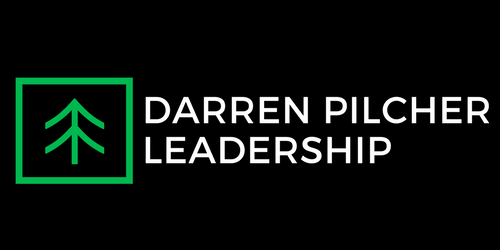 Enter your email address to follow Darren's blog and receive notifications of new posts by email.